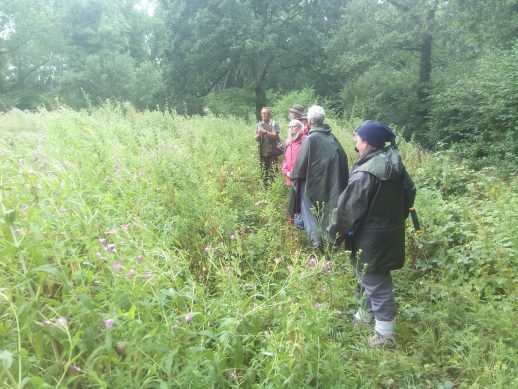 If our last workshop at Plattershill proved to be the perfect conditions for spotting and identifying butterflies, this weekends event was almost exactly the opposite. It was promising sunshine as I drove along the bottom of the South Downs to the event at a woodland close to the village of Small Dole in the Adur Valley, however as soon as we got out of our cars it was rain jackets on as it started to drizzle, then fluctuated between a light rain and heavy mist for the rest of the afternoon. All was not lost however! 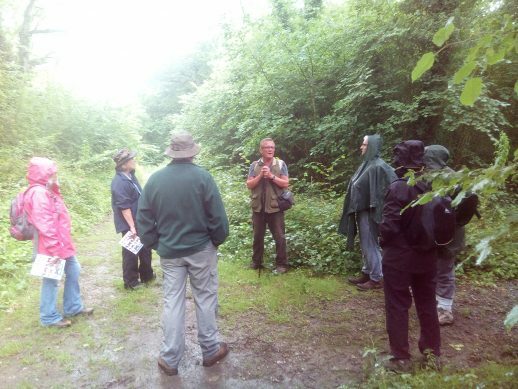 Leading the meeting was butterfly expert Neil Hume from Butterfly Conservation. 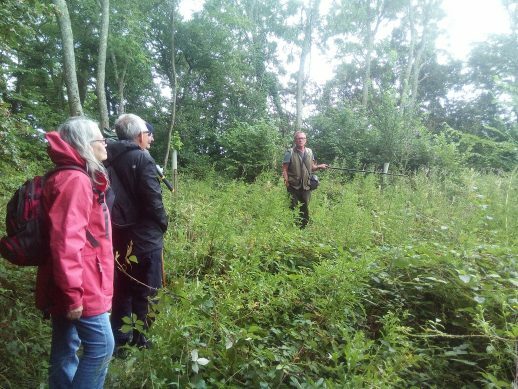 His special interest is in Fritillaries and we visited one of the areas where work is in progress to create a perfect habitat for the rarely seen Pearl bordered fritillaries. According to Neil these were in abundance when he first became interested in the subject in the 1970’s, it was the much larger Silver washed which were a rareity then, but now common to this and many other woods in the area. 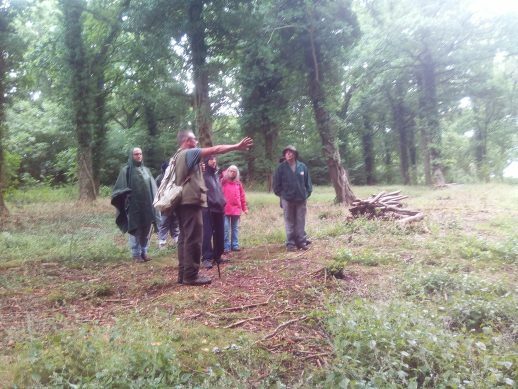 Neil is a very enthusiastic proponent of any woodland management. He maintains that even the smallest tweaks can make a difference. The felling of a carefully selected Oak or Ash standard or some coppicing and scalloping can allow enough light in to make a huge difference not just to the butterfly population but for wildlife in general. He has produced a useful ID chart and information sheet to help understand the kind of flora which will encourage certain species to your wood. Many thanks are extended to him for his enthusiasm and making a rather drizzly day sparkle with interest.